Philly’s 2020 assessments are out. Here’s how to calculate your new tax bill. 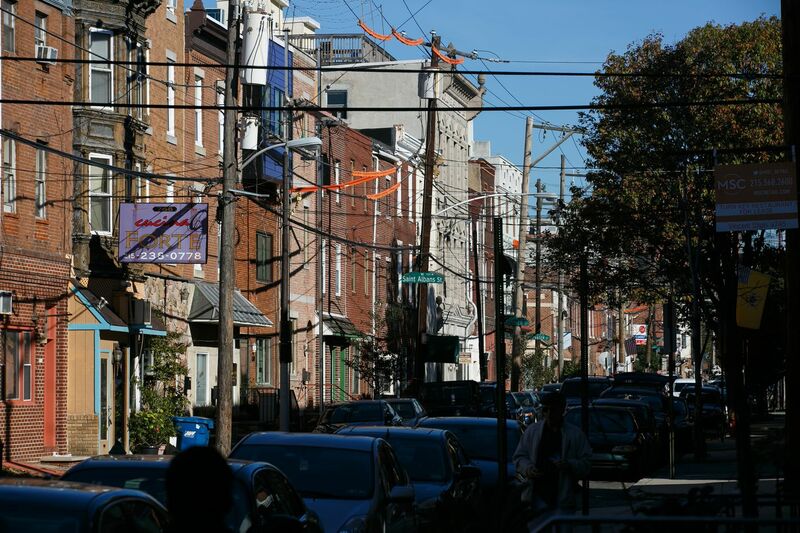 A view into the Bella Vista neighborhood in South Philadelphia, near 8th and Catharine Street in Philadelphia. The neighborhood's median assessment of a single family home is set to increase 8.4 percent in 2020, according to The Inquirer's analysis of property data. Hundreds of thousands of Philadelphia homeowners are learning this month that their taxes will increase in 2020, after the city released new property assessments that increased values for three-quarters of residential properties. But the notices arriving in mailboxes informing owners of changes to their assessments leave one important question unanswered: What is my new tax bill? How does Philly assess property? Taxpayers will have to wait for complete answers. Why doesn’t the city’s notice or online property record tell me my new tax bill? The Office of Property Assessment has assigned 2020 market values, which will be used to calculate next year’s taxes, to every property in the city. More than 389,000 properties will see increases, while about 81,000 assessments will decrease. But none of the notices arriving in residents’ mailboxes this week and next week will indicate the new value’s impact on taxpayers’ bank accounts. Chief Assessment Officer Michael Piper told City Council at a hearing this month that his office used to include predicted tax bills in assessment notices and online, but stopped doing so. That’s because there is supposed to be a divide between the Office of Property Assessment (OPA), which calculates property values, and the Revenue Department, which collects taxes. “We want to keep that line clear,” Piper said. Piper said it could be discussed. Council President Darrell L. Clarke, who has been critical of OPA and is calling for new leadership, including a replacement for Piper, suggested he may use legislation to make OPA include tax bill calculations. Property owners can find their market values in assessment notices mailed by the city or online at property.phila.gov. Among other information, the page for an individual property will include a box like the one below, with the valuation history of the parcel. The value that matters most is the total market value, or the second column from the left. For the property below, a three-story row home in Fairmount, the market value for 2020 is $528,500. The property record for a rowhome in Fairmount. The home has neither an abatement or a homestead exemption, so its tax bill is calculated by multiplying hits market value by the tax rate. The city’s current property tax rate is 1.3998 percent. Mayor Jim Kenney’s proposed fiscal year 2020 budget does not contain any changes to the tax rate, so, assuming it remains the same, it will be used to predict next year’s tax bills. For the home in Fairmount listed above with a market value of $528,500, the homeowner would multiply that value by .013998 to calculate the 2020 tax bill: 528,500 x .013998 = $7,398. What if I have a homestead exemption? Many residents have homestead exemptions, which amount to a discount for owner-occupied properties. City Council increased the homestead exemption last year from $30,000 to $40,0000. That means homeowners can subtract $40,000 from their market values before calculating their tax bills, resulting in a discount of $560 under the current tax rate. Below, the records for a home on Summerdale Avenue in Rhawnhurst show how that exemption looks on your online property record. Under the “exempt improvement” column, $40,000 is listed. For the Rhawnhurst home below, that formula results in a tax bill of $2,445. The property record for a home on Summerdale Avenue in Rhawnhurst. The owners have a homestead exemption, so their tax bill is calculated by subtracting $40,000 from the market value and multiplying the result by the city's tax rate. The city’s tax abatement allows property owners to wait 10 years before paying taxes on improvements made to their building, or on new construction. Those discounts are also reflected in online property records. Below, a screenshot from property records shows a home on Cleveland Street in Point Breeze that has a 10-year abatement for rehabilitation. The “taxable land” and “taxable improvement” columns show portions of the assessment on which the owner must still pay taxes. The “exempt improvement” column shows the amount by which the assessment is discounted for the purposes of calculating tax bills. The Cleveland Street home listed below, therefore, would have a 2020 tax bill of $1,628. The property record for a home on Cleveland Street in Point Breeze. The property has a tax abatement, so its tax bill is calculated using only its taxable land value. How has my tax bill increased in the past few years? Philadelphia, unlike other counties in the state, is not required to adjust tax rates when reassessing properties in order to make revaluations revenue-neutral. That means that reassessments can raise extra revenue for the city even as the tax rate remains the same. Because the city’s real estate tax rate has been 1.3998 percent since 2016, homeowners can use the same formulas as above to calculate past tax bills and compare to their predicted 2020 bills. The home in Fairmount valued at $528,500 for 2020, for example, would have had a $6,340 tax bill in 2018 before its taxes rose to $7,160 in 2019 and an estimated $7,398 in 2020. For properties with the homestead exemption, tax bills prior to 2019 should reflect a $30,000 discount rather than $40,000. Homeowners with tax abatements may also need to account for other changes, depending on when their abatement took effect. The city also offers a number of other relief programs that can decrease tax bills, including a tax freeze for low-income seniors and a program for longtime owner-occupants.